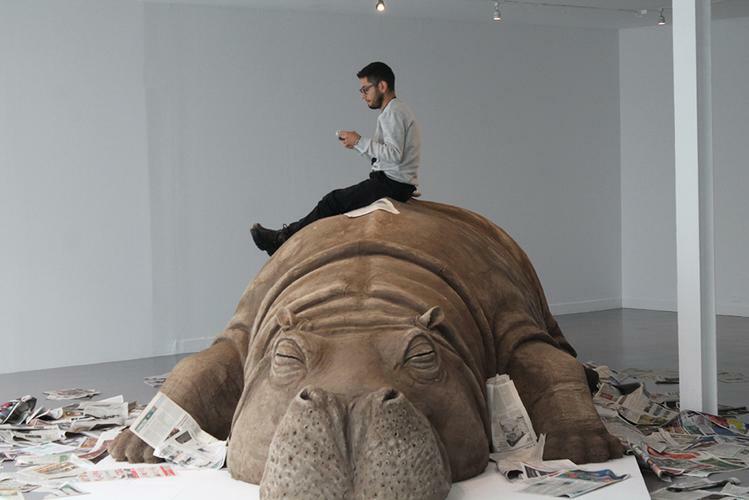 allora & calzadilla, hope hippo, museo de arte carrillo gil, mexico city, 2018. 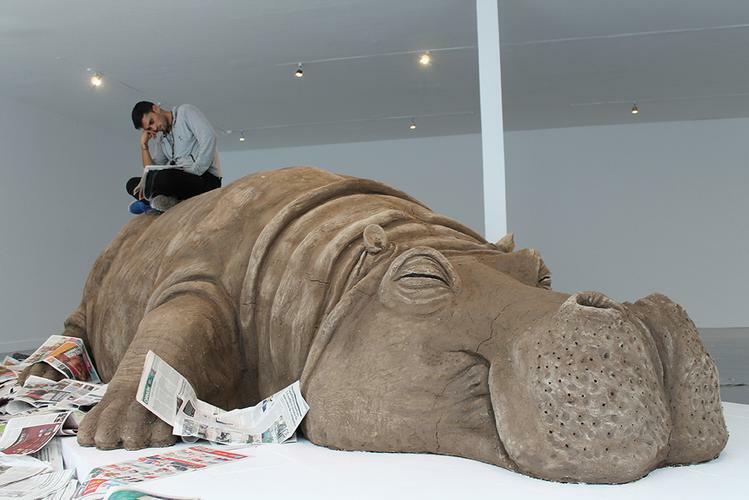 Represented by a sleepy life-size hippopotamus, Hoppe Hipo was conceived by Allora and Calzadilla as an allegory to equestrian military monuments (a recurring sculptural element in any city). This piece was exhibited for the first time at the 51st Venice Biennial, in 2005. 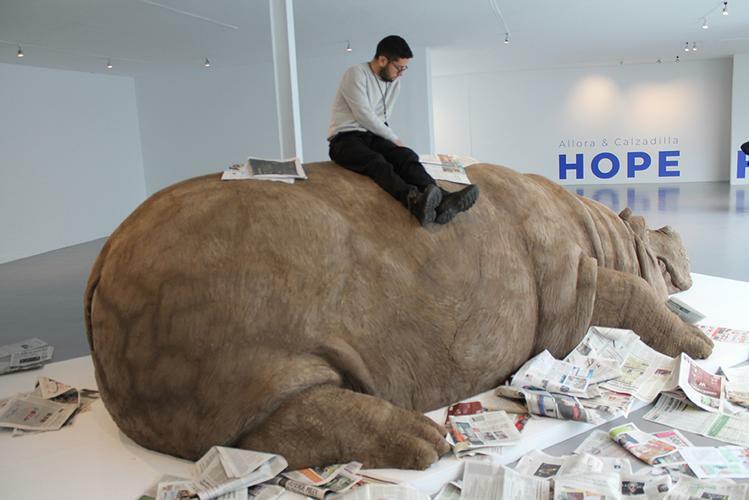 Since then, the "river horse" (híppos: caballo, potamós: río) is destined to carry on its back a performer, who is unique work is to read the newspapers of the day. For its first exhibition in Mexico, the "actor-reader" must find any news that denounces or mentions an act of corruption and warns of this finding with a prolonged whistle that will be transformed into a powerful sound report that will be expanded by the venue that host.